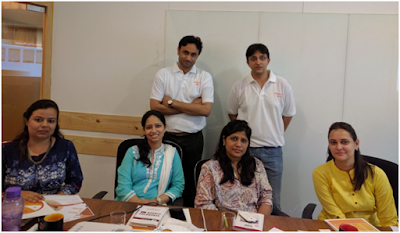 PlanetSpark, a Gurugram-based EdTech startup on a mission to make traditional tuitions obsolete through powerful and gamified learn-tech products and certified teachers in K8 segment, has been infused with funds worth Rs 1.6 crore by FIITJEE, India’s leading education company. PlanetSpark will use the funds to rapidly grow its existing 200+ home based tuition centers by close to 350% to 750+ home-based tuition centers across Delhi NCR and beyond. The funds will also be used to develop powerful, heuristic, gamified learn-tech products for an integrated instructional learning experience. “At its core, PlanetSpark is a tech company aiming to organize the unorganized market of tuitions in India through scalable tech solutions. We firmly believe that the era of boring tuitions is over and the vast and unorganized tuitions market is ripe for getting organized through full stack tutoring model, following the trend in other markets like transportation, logistics, food delivery or ecommerce. Parents don’t want to send their children to unverified and uncertified tuition teachers any more and they are ready to prefer a professional brand which brings game-based learning models, instructional content, and technological backing and mobile apps," stated Kunal Malik, Co-founder, PlanetSpark. With a 'Blended Learning' approach to teaching school subjects) to preteens, the startup combines Face to face Classroom learning and tech-based learning. The company develops gamified learning content such as mobile based learning games, educational cartoons, learning activity boxes, workbooks and board games and partners with qualified homemakers and helps them start their home based tech enabled tuition centers using PlanetSpark’s gamified teaching content, technology and training. “We are clear that the future of early and primary education lies in a Blended Approach to learning where one combines face-to-face teaching with technology. It is a known fact that purely online “learning apps” don’t work as one cannot eliminate the human element of a teacher, especially for younger kids. At the same time, just face to face learning models are neither scalable nor make the learning process fun and gamified using Tech. Hence the sweet spot lies in Blended Learning,” said Maneesh Dhooper, Co-founder, PlanetSpark. In order to create highly engaging games and learning cartoons for children, the company’s game development team has designed two product innovations that can create a learning game or a learning cartoon within a few hours. This would help the company exponentially scale its content offerings to more subjects and classes in the coming months. Commenting on the development, D. K. Goel, Chairman Emeritus Fiitjee Group, said, "The home based blended learning model of Planet Spark is poised to empower teachers, students and parents in the learning process." The team is now gearing-up for the release of its learning tablet which has been developed as a series of story-based learning adventures designed by Russian game design experts. The company plans to scale-up to 5 more cities in the next academic year to spread the joy of learning pan-India!